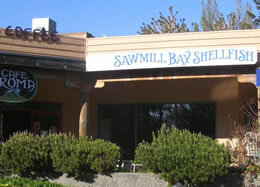 Shopping Information | Sawmill Bay Shellfish Co.
We guarantee the freshness and quality of our product. In the unlikely event that the freshness or quality is not to your liking, we will refund or replace without quibbles. All our products are labelled and checked in a Canadian Food Inspection Agency approved facility. Please note that due to the costs of transportation we have a minimum order value of $50.00 (excluding shipping costs) for online orders. You will receive a confirmation e-mail from us and PayPal when you have completed your order. Our online payments are handled by PayPal who accept a wide range of debit and credit cards, as well as PayPal accounts. You may also pay by card over the telephone. In store, we accept credit/debit cards or cash. Click here for delivery options and costs. Click here for our terms of sale.